While Tanzania has greatly reduced its child mortality, its progress in reducing maternal mortality has been significantly slower. 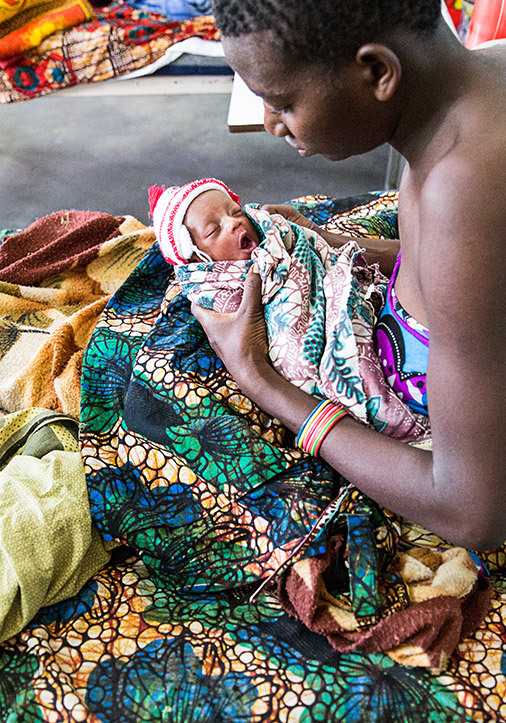 With nearly half of all Tanzanian women giving birth at home and unattended, deaths of mother and child due to birth complications is unnecessarily high. 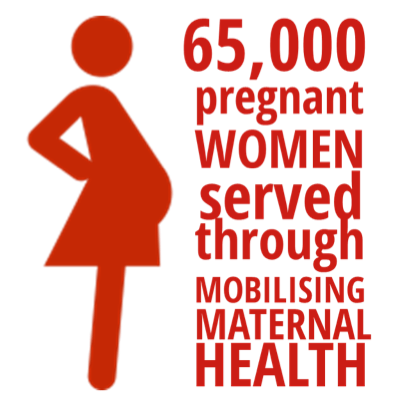 In collaboration with Pathfinder International and with support from Vodafone Foundation and other donors, we launched Mobilizing Maternal Health in 2013. 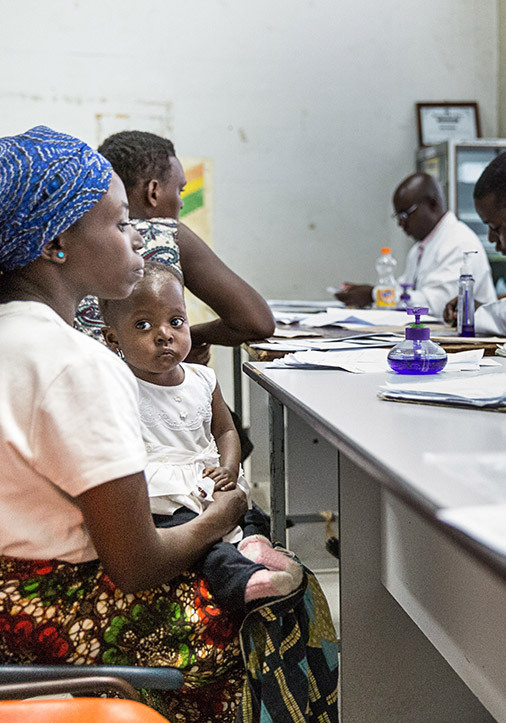 The program is reducing Tanzania’s maternal and neonatal mortality and morbidity by improving the quality of care and by using innovative mobile solutions to provide transport to high-risk mothers. 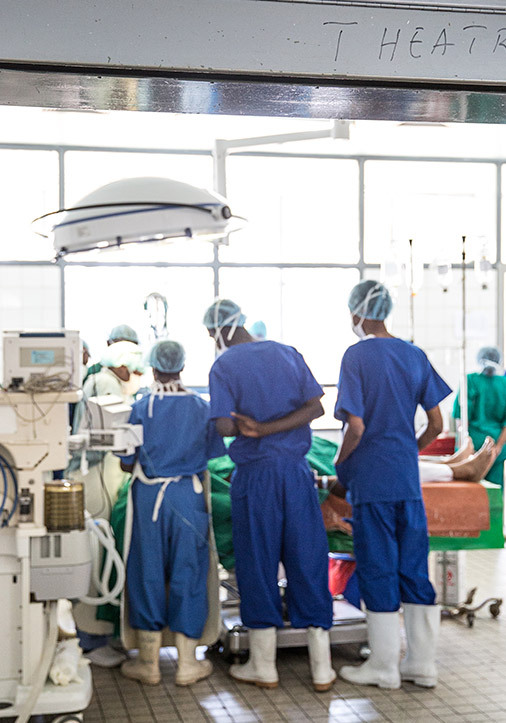 We have built and equipped new infrastructure at Treat & Train’s regional and district hospitals, including C-section theatres, labor and post-labor wards, and maternity waiting hostels. Our regional and district level improvements are linked to activities at the village level, where we have set up supplementary screening and emergency referral and transport systems, reaching mothers and neonates from the most rural villages. 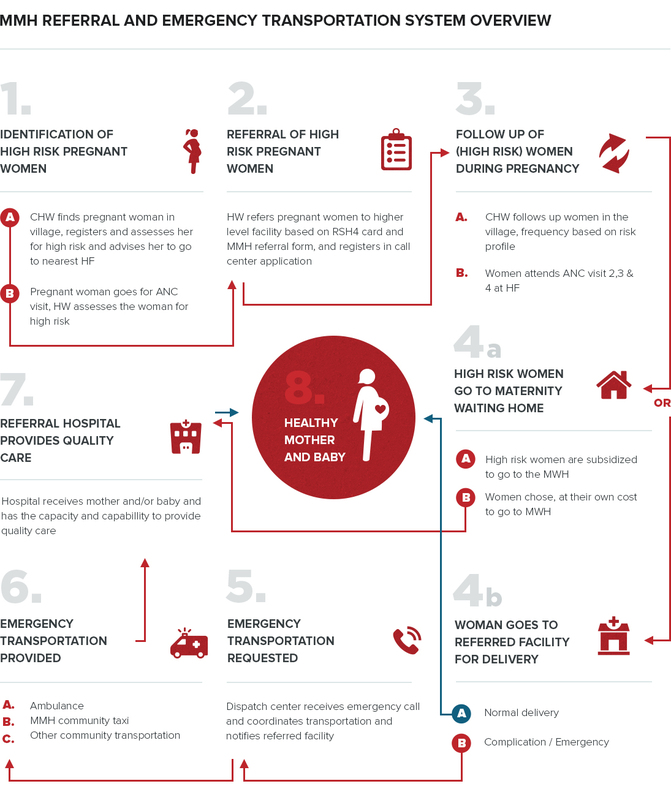 The referral and emergency transportation system leverages community healthcare workers, who identify and refer at-risk pregnancies to Treat & Train hospitals and health dispensaries, increasing the likelihood that mothers deliver in a safe environment and under the care of a skilled healthcare worker. To support the robust referral systems established through the program, we facilitate training on Comprehensive and Basic Emergency Obstetric and Newborn Care throughout district and local facilities, equipping healthcare workers with critical lifesaving skills. We are finalizing the pilots of the referral and emergency transport systems in two Lake Zone districts and are collecting data to evaluate and inform the program’s future replication within our Treat & Train Network. We are working with our flagship partner Bugando to improve their capacity to serve cardiovascular patients and we are part of Rheumatic Heart Disease Action Alliance, a coalition of organizations leading a global movement to reduce the burden of rheumatic heart disease. Rheumatic heart disease is a preventable, treatable form of cardiovascular disease that affects over 32 million people around the world. It affects the world’s poorest, most vulnerable populations and imposes heavy costs on the health systems that can least afford it. Rheumatic heart disease is the most commonly acquired heart disease in people under the age of 25 and often begins in childhood as strep throat. If left untreated, it can develop into rheumatic fever. Rheumatic fever damages heart valves, resulting in rheumatic heart disease, which can cause heart failure, stroke, or cardiac rhythm abnormalities. Women with rheumatic heart disease are at particular risk of significant illness or death during pregnancy and labor, since symptoms of heart failure are often confused with symptoms of late pregnancy. Building upon our work in maternal and child health in the Treat & Train Network, we are reducing preventable cardiovascular deaths by improving cardiovascular health services through staff training, upgrading equipment, and piloting screening days for school-aged children to be screened for rheumatic heart disease.